Are you interested in great products or services to assist you as you pursue your family history? The Utah Genealogical Association has contacted vendors who supply those products and services and we feel their offerings are worth your consideration. Click on the product logos to visit their websites for additional information. Members can receive special discounts, as well. Login to the Members area to the left and click on "Affiliates" for more information. Great Gift for Your Children and Grandchildren! AncestorCloud is a social network for genealogists centered around file sharing. It enables it's users to upload, organize and share new discoveries in a visual way with the public, friends, and family. Users can create groups and collaborate together all within the app to showcase files, collections, or simply discussion which can be applied in societies as well as family surnames. Once files are shared on the AncestorCloud anyone can browse and discovery common ancestry and interest through a global map showing all the files being uploaded around the world. 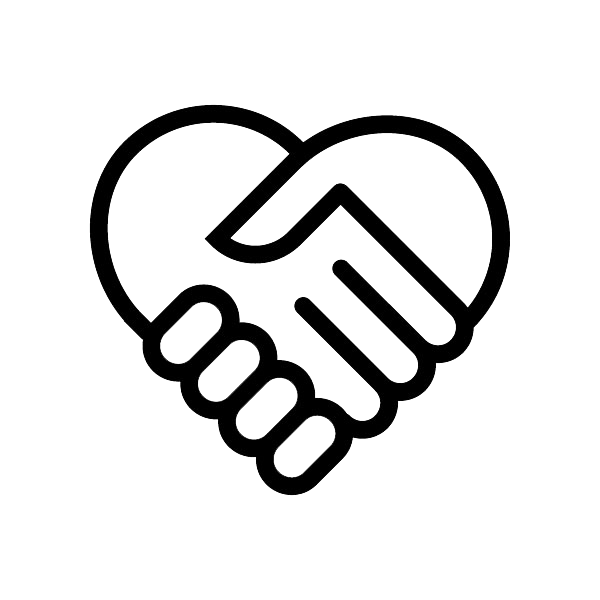 Helping to connect genealogists together through sharing. AncestorCloud free for all to join and is currently in beta. Discount code for the UGA members will come as soon as they begin to charge. Ancestral Quest is the easiest-to-use and most natural upgrade program for PAF users. For computers with Microsoft Windows XP, Vista, or Windows 7. Complete compatibility with FamilySearch Family Tree. For over a century and a half people have taken photographs to preserve special moments in time. Photographs from the past are often precious touchstones that remind us, encourage us and enlighten us. Many of these irreplaceable images are damaged in one way or another and we risk losing them forever. Please consider preserving your families most precious photos for future generations by having them Digitally restored. Butterfly Kisses specializes in Restoring and Retouching important photographs and producing Canvas Prints and Genealogical Signs. UGA Members receive Special Discounts on all products and services. CensusTools spreadsheets provide researchers with quality tools to electronically record, preserve and archive family history data. CensusTools spreadsheets reproduce actual census document formatting, providing you with a professional appearing product suitable for printing or including in your published family history. CensusTools spreadsheets are also valuable analysis tools. The Tracker series allows a researcher to analyze all available census data for an individual on a single worksheet! At a glance and in a very professional appearing report, you can trace the important aspects of your ancestors' lives. Your pile of census data, difficult to analyze and evaluate scattered about in a pile of extraction sheets, comes alive when properly organized! Also included in the collection are selected state and international census spreadsheets, as well as spreadsheets for cemetery and ship manifest data. Looking for new ways to share your family history? Elijahtree specializes in creating custom artwork from your family names. Each piece is uniquely designed and personalized to your family roots, which means no two trees are alike. Turn all your hard work into a beautiful piece of artwork with your own Elijahtree. - UGA Members get a 15% discount on purchases. E-Z Photo Scan, powered by i/oTrak, has made an art of managing documents since 1995. Now, after having scanned hundreds of thousands of personal photographs, E-Z Photo Scan provides assistance to individuals and organizations looking to preserve their memories for the enjoyment of generations to come. Whether you are a family archivist, genealogist, or someone that wishes to simply scan their photos, E-Z Photo Scan makes it easy to rent or buy Kodak Alaris' high-speed, high-quality photo scanners the E-Z way!" Award-winning Genealogical Chart Printing Service - Free Consultation, Working Charts, Decorative Charts, Design-It-Yourself, Blank charts, Giclee Photos, Pre- Created Charts. photos and videos, reads journals, writes their life story and narrates it, creating a high definition documentary that will last for generations to come. This is an opportunity to preserve a person's life story while they are still around to tell it. Offers more than 1.7 billion international family history records from the U.S., Canada, UK, Australia, New Zealand and beyond with records going back to 1200. New collections are added every month, so why not join findmypast to add depth to your family tree? Memories and stories bind families together. How will you preserve and share yours? With the Flip-Pal mobile scanner, no longer will your precious photos, documents and other memories be scattered, lost or hidden. Have fun and enhance your creativity, then share your memories with family and friends. And save time in the process. Take advantage of the patented flip-and-scan technology to scan photos safely while still in the album or frame. Modernize and Digitally Preserve your Memories with America's Trusted Photo Scanning & Home Movie Conversion Service. FotoBridge is the award-winning photo scanning service that safely delivered more than 50 million images across the U.S. and around the world since 2008. We've pioneered the simple, easy to choose, and affordable flat-rate photo scanning, home movie, and video tape conversion package solution. Unmatched simplicity, 100% guaranteed satisfaction, all-inclusive flat-rate packages mean we've got all your memories covered no matter where they live. The goal of the GenealogyGems podcast is to provide folks who are researching their family history with nuggets of inspiration and innovation to help them get the most of out their research time. Show Notes with "how to" information, photos, and resources are also published weekly. Podcasts are free, but you can get MUCH more with an annual premium membership including webinar recordings of the most popular presentations and instructional videos on using Google for genealogy. Historical Family Connections creates high quality tabletop conversation pieces about your ancestor through full color pictures and documents... then we take it a step further to include historical connections that helped shape the environment in which they lived. Your ancestor's life sketch will take you and your family on a journey that will help bring to life not only the places where they lived, but why they may have lived there, what their beliefs might have been, and the challenges they faced to bring about the world we live in today. Your family's journey begins with you. Simply go to 'create your link' at http://www.historicalfamilyconnections.com/ to get started on your ancestor's life sketch and historical connection today! Let us create an heirloom for your family to treasure for generations to come. The things we care about have stories - whether they are houses, cherished belongings or family heirlooms. But if you are not telling - and just as importantly sharing - these stories, who will? Houstory Publishing has developed two products - The Heirloom Registry & the Home History Book archival journal - that help genealogists and family historians protect and easily share these priceless stories. Leave a gift for future generations by adding texture and color to your family tree now. Larsen Digital is a photo, film and video conversion service that converts your old media to digital. Larsen Digital uses the latest technology and professional equipment proving high quality digital images and videos. Sharing and preserving your family genealogy online or on DVD has never been easier. Wherever you’re at in your family history book process, Legacy Books provides the services needed to take it completion. The company is experienced in providing research, interviewing, writing/editing, scanning, and design and layout services to its clients. The company also designs its clients’ book covers and manages your books through the print and bind process, delivering your books to you upon completion. For severn years Legacy Books has transformed typical family history materials—genealogy, stories, images, and documents—into attractive, coffee table quality productions. Legacy genealogy software can help you create books, print colorful wall charts and manage your resources. The latest version has mapping with 3D and satellite views, 1200 interview reports, a setup wizard and good backup tools. This genealogy software also supports all files types so you can attach image, video, PDF, Word documents or audio files to individual and marriage files. The software can be used to search popular online genealogy services such as Ancestry, FamilyLink, FamilySearch, Genealogy, MyTrees and more. My Family Online is a full-service genealogy company offering family history solutions to families and organizations including scanning, publishing family histories online at myfamilyonline.com and research through a worldwide network of specialists. With researchers located throughout the world, My Family Online can help wherever you're "stuck". Other services include transcription, translation (60+ languages and dialects), GEDCOM clean-up, photograph restoration, fan and family tree charts, video and cassette tape archiving and much more. Go to our website at My Family Online - or click on our logo for more information. Located in Burbank, CA, we have been servicing the film community for over 30 years with their archiving and preservation needs. We offer state of the art transferring of home movies shot on film and tape that have been used in documentaries for all the major networks, , Presidential Libraries, museums, and the archives of the worlds most famous faces. We are particularly passionate about family history and raising the collective conscious so that families can learn best practices to preserve their Home Movie Legacies for future generations . Progeny Genealogy, the leading developer of family tree graphics software, helps you tell the story of your family. Our software works directly with all genealogy database programs, allowing you to create various types of genealogy charts. Charting Companion and 3D Family Tree offer a complete solution for viewing, printing and publishing colorful, customized family tree charts that surpass those provided by any genealogy database program. Genelines creates unique timeline charts that show an individual or family lineage against a backdrop of historical world or family events. Map My​Family Tree shows the geographical distribution and migration patterns that shaped the family's history. The Genealogy program at Salt Lake Community College, Division of Continuing Education offers the unique opportunity for students to learn solid research and organizational skills. This program introduces students to many potential career paths. Students learn the proper use of genealogical records and sources in practical hands-on research experiences. Don't live in Salt Lake City? Not a problem! All courses are available online. You can get this certificate, which puts you on the road to the past, from the comfort of your own computer. Go to the SLCC Genealogy Website for further information! Create your family legacy by recording your story and the stories of your relatives with Saving Memories Forever. Use the easy, intuitive smart phone app to record and upload your stories to our private website where you can share them with the rest of your family. Use our audio diary to record your private thoughts and play them back whenever you want. Use our celebration module to collect stories about a special event like a birthday, wedding or retirement. Imagine the delight that grandchildren will get when they hear their grandparents' stories about their parents. And, best of all, imagine these stories in a growing archive available for generations to come. Visit our website SavingMemoriesForever.com and sign up for a free or a premium account. Download our app from the iTunes App Store or the Google Play Store under Saving Memories Forever and start recording your stories today. With relatives who do not have smartphones you can use Skype to record your relatives over the phone. The system allows you to upload audio directly from your computer to the website. DON'T THROW THAT TATTERED OLD BOOK AWAY! I repair Bibles and other precious books. For more than 30 years, The Crowley Company has provided genealogists and genealogical companies the highest standard in scanners and scanning services for all volumes. From microfilm to bound books to fragile photos and documents, Crowley helps to preserve family history for the generations to come. For more information about scanners and imaging services, visit www.thecrowleycompany.com or call (240) 215-0224. Treasured Souls to Keep offers the best management and storage system for ordinance cards within the LDS product market today. With our system, you can keep track of all the work that's being done from Baptism through Sealing and store them away in a special place that will reflect how you truly feel about these treasured ancestors. If you're the one managing all the cards, then these are the perfect LDS products for you. They make a great gift for someone you know who manages family file cards for their own family as well. Perhaps while reading this, you've thought of a relative who's managing the cards within your family. They will be grateful for this thoughtful and useful gift. In addition to providing this fabulous storage system, we offer other LDS products. When you wear our jewelry, mark your place in the Book of Mormon with our bookmark, or grab your keys with our keychain on it, you'll be able to keep genealogy and temple work at the forefront of your mind as you see the beautiful Treasured Souls to Keep charm that is incorporated with each of these products. So, this is the place to be if you are looking for the best LDS products and LDS gift ideas. Shop now www.treasuredsoulstokeep.com. Trunx allows you to capture, organize and store your visual legacy today. Our mission is to be the biggest digital memory bank in the world by helping people bring all of their photos together in one secure place. Whether these photos reside on a phone, computer, hard drive, digital camera, Facebook or Instagram, they can be uploaded to Trunx and will be automatically organized by date and time. These precious memories can then be accessed at any time on multiple devices. With its unique EchoPix feature, genealogy enthusiasts can take photos while recording audio of family members as they tell their histories. 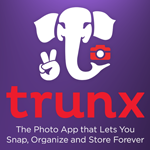 Download Trunx for Android or iOS here. BRIO is a casual restaurant serving authentic, northern Italian food. BRIO brings the pleasure of the Tuscan country villa to Salt Lake City. Gather around our table and enjoy premium quality steaks, chops, seafood and made-to-order pastas. BRIO is pleased to offer Bar BRIOSO Happy Hour Weekdays from 3:30-6:30 with Plates & Pours from $4-$6; Weekend Brunch Until 3:00pm; Children’s Menu; Lighter Side of Tuscany Menu with Entrees 550 calories or less; Gluten Free Menu; and Catering To-Go. The Nauvoo Café: The Nauvoo Cafe is located in the lobby of the Joseph Smith Memorial Building. Experience hot-carved sandwiches, soups, fresh salads, homemade pot pies and fast service with a great view of the Main Street Plaza and Temple Square. The Garden Restaurant: Located on the 10th floor of the Joseph Smith Memorial Building with stunning views of Temple Square and Downtown. Four-time Best of State winner for Casual American Dining. Try the signature fried pickle appetizer! The Roof Restaurant: Located on the 10th floor of the Joseph Smith Memorial Building. Delight in a fusion of extravagant food and breathtaking views of Temple Square and Downtown. Two-time Best of State winner for Fine Dining Buffet. Lion House Pantry: Located west of Temple Square next to the Beehive House. Enjoy exceptional home-style cooking as you dine in Brigham Young’s historic residence. Featuring authentic recipes that have been passed down through generations. Home of the Salt Lake Institute of Genealogy and a block away from Temple Square and the Family History Library. Enjoy the Standard guestroom that brings an Urban style with custom artwork headboard, bedside reading lights, and ample desk space. Take in the beauty of the Wasatch Mountains and city skyline from the wall-to-wall windows in your guestroom. Get ready for your day in the freshly styled bathroom with spacious counters, low profile sinks and rain showerhead. As you venture into the city you will be minutes away from the best the city has to offer; including walking distance from the following: Gateway Mall, City Creek Mall, Energy Solutions Arena (home of the Utah Jazz), a TRAX station, and the closest hotel to the Salt Palace Convention Center. Click on the logo for further information. The Plaza Hotel offers Salt Lake City's Dream downtown location. The facility is directly across the street from Utah's most visited attraction, Historic Temple Square. Temple Square's 10 acre's include the world renowned Mormon Tabernacle Choir, two visitors centers, garden tours, the tabernacle organ, the six spired Salt Lake Temple and complimentary guided tours. You can research your family roots, without charge, next door at the world's largest genealogy library. Click on the logo for further information.